Home Wearable News Can Yahoo ever be cool again? Can Yahoo ever be cool again? Yahoo says its $1.1bn (£723m; 857m euros) purchase of blogging platform Tumblr will boost its revenue as soon as 2014. Yahoo’s chief financial officer, Ken Goldman, made the claim during a call with analysts, although he did not give firm numbers. 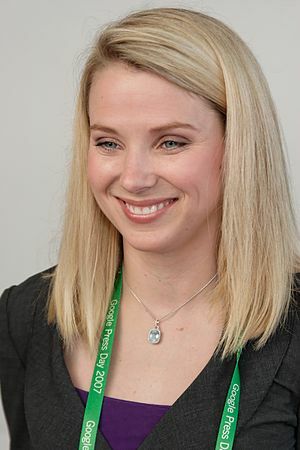 Its chief executive Marissa Mayer said Tumblr would operate independently, in a promise “not to screw it up”. 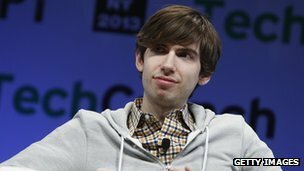 Tumblr founder David Karp will continue as chief executive officer. The deal values Mr Karp’s stake at $275m. “On many levels, Tumblr and Yahoo couldn’t be more different, but at the same time, they couldn’t be more complementary,” added Ms Mayer. Mr Karp, 26, who owns 25% of the privately-owned company he co-founded with Marco Arment in 2007, said he was “elated” to have the support of Yahoo. Can Yahoo become hip again? In buying Tumblr, the company is trying to change its reputation with hipsters. Yahoo was once a name synonymous with the internet, but its lead has been eclipsed by Google and it doesn’t generate the same kind of buzz as Twitter or Facebook. The odds of success may be stacked against it. Websites such as Mashable.com are already reporting a backlash among Tumblr’s user base in reaction to reports of the Yahoo acquisition. Yahoo is hoping that its purchase of Tumblr will boost traffic to its other properties, such as the photo sharing site Flickr. But the $1.1bn question is: will it also help boost revenue? Tumblr’s 2012 revenue was just $13m, according to a report by Forbes magazine, leading analysts to suggest Yahoo had overpaid for the deal. Tumblr combines elements of blogging with social networking, and its simple design has attracted millions of users since its launch. According to its homepage, it now hosts 108 million blogs, with a total of 50.7 billion posts. It also has a significant presence on mobile devices. But despite its fast-growing user base, it has struggled to make money and has traditionally resisted advertising. It said in April 2012 that it would roll out limited use of adverts. Ms Mayer said Yahoo would now work with Tumblr to create ads that “are seamless and enhance the user experience”. Brian Wieser, analyst at Pivotal Research Group, said that the quickest way for Yahoo to boost Tumblr’s revenue would be to combine its sales force with the blogging site, but that this would risk alienating users. But it has limited mobile reach and lags behind Google in the search engine rankings. It also shed more than 1,000 jobs during 2012 and has long been divided over whether it should focus on media content or on tools and technologies.